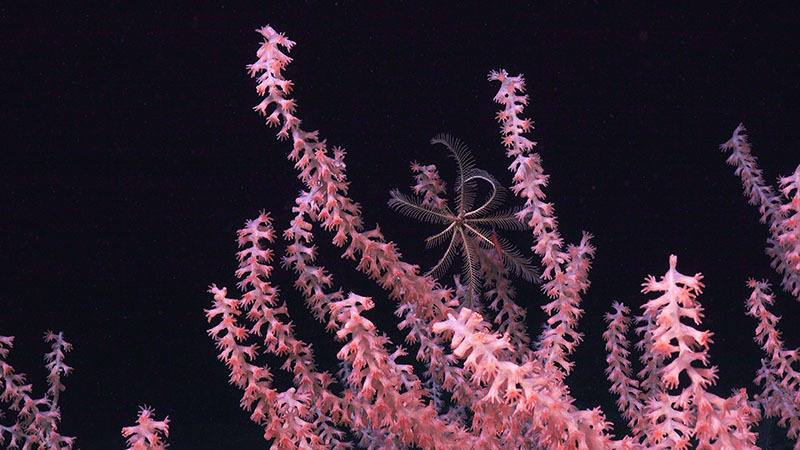 From April 9 to 30, 2019, NOAA and partners at the Bureau of Ocean Energy Management and the U.S. Geological Survey will conduct a research expedition on NOAA Ship Ronald H. Brown to collect critical baseline information about deepwater habitats offshore the U.S. Mid- and South Atlantic coasts. It’s been a busy week here aboard NOAA Ship Ron Brown! As is often the case with deep-sea research, Leg 1 didn’t go entirely as planned, so we made adjustments, as we’re always prepared to do. 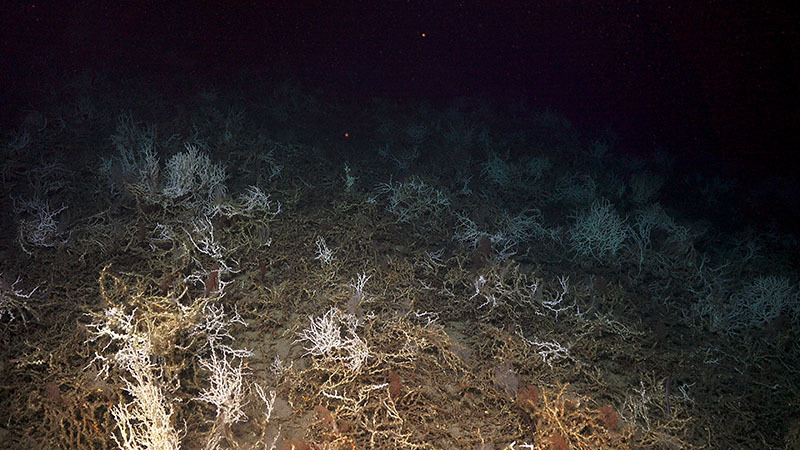 These are some of the highlights from our first four dives of DEEP SEARCH 2019. 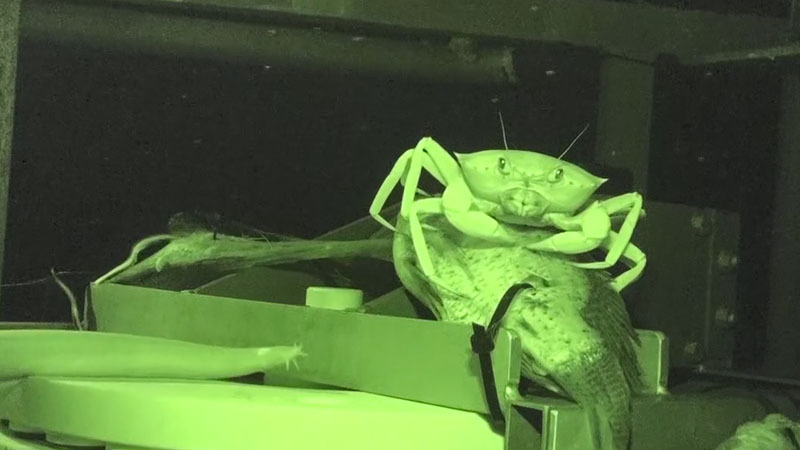 A crab wards off a hagfish from the bait in this video taken during the lander’s test deployment. 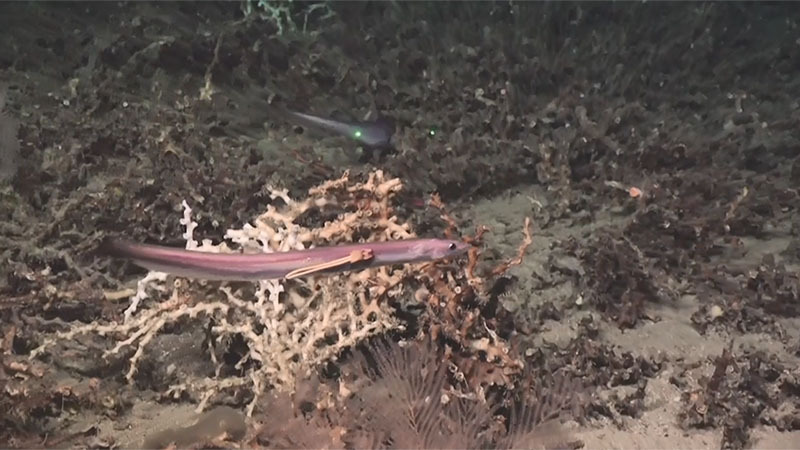 A cutthroat eel, Synaphobranchus sp., attacks a hagfish attached to the bait.